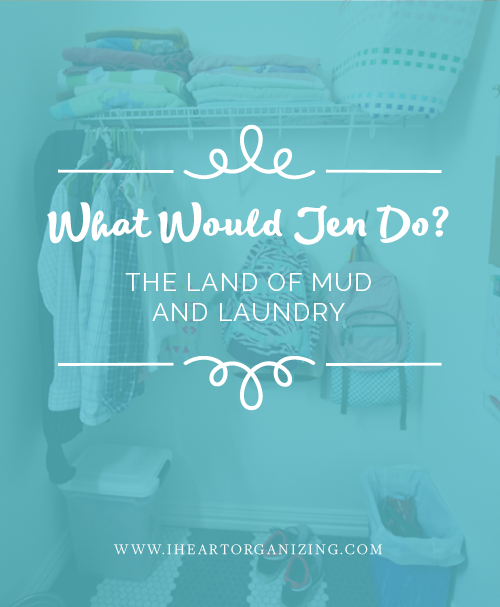 I am so excited to be back with another post in my new series, What Would Jen Do? The first two are essentially trial runs, with me actually visiting the specific space in person to do my assessing and idea crunching. I am guessing this is a bit easier than trying to do everything virtually, and I really appreciate that my pals are letting me test the waters with their spaces. I absolutely love problem solving solutions that will help folks live an easier, breezier life! I created this series for a few reasons; primarily to help people tackle spaces in their own homes, while sharing those ideas and recommendations here to also assist others facing similar problem areas. Generally, I will select areas/zones/spaces that many people have in common (submitted to me from friends, family and readers), and share my personal thought process while problem solving organizational and storage solutions for their projects. You can find my first space of this series here, in which I helped my girlfriend with her daughter's closet. It really generated a lot of discussion and ideas from all of you, which is another goal I have with these types of posts. I certainly cannot think of everything, and y'all always bring new perspectives to the table. If you ask me, that is one of the best components of this blogging gig. You may recall that earlier this year I took a last minute trip to visit one of my favorite gal pals, Cassie, and helped her with her craft room closet project. During my visit we made sure to get in a mix of fun and work, and ate an endless variety of delicious Tex-Mex. I picked her brain about closets and clothing and makeup while she picked mine about storage and organization around her home. I think we both would agree that these normal, daily tasks are far more fun when discussed and worked out with a dear friend. 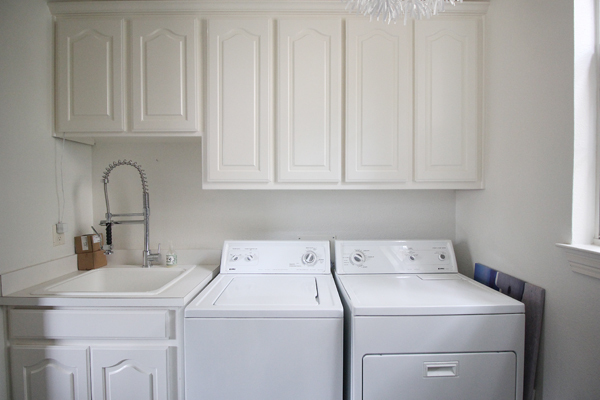 Cassie wasn't initially planning a laundry room makeover, but she did express a desire to make it more functional. That's where I came in! I walked her through my typical thought process and asked her a variety of questions regarding her space and how it should ultimately function for her family. Then, her washer and dryer decided they'd had enough, and she upgraded to a beautiful set of black stainless steel machines. Ooooh la la! This sweet upgrade not only expedited the storage and organizational plans, but also was the push she needed to glam up the space a bit. 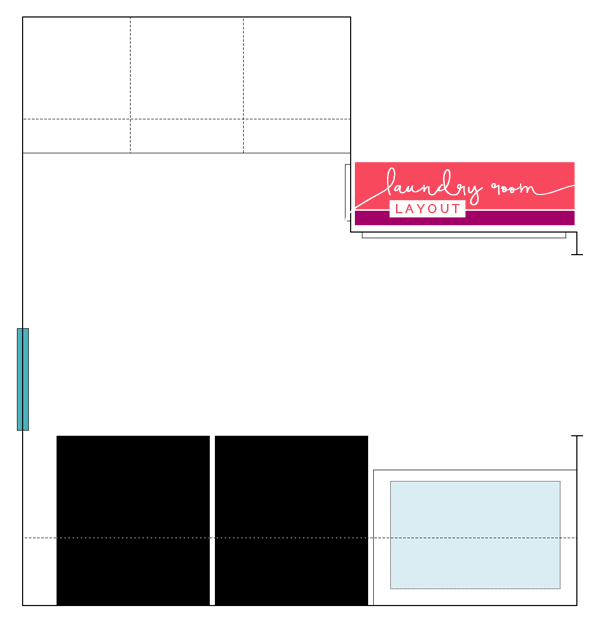 You can find all of her design plan details here. Hello!? Stop drooling at that marvelous tile! Focus! Cassie has the design elements nailed down, but what about that storage plan? To get started, I grabbed some scratch paper and took down a few notes and measurements to come up with a basic space layout. Above you can see that she has a wall containing the sink, washer and dryer as well as a row of cabinets above. 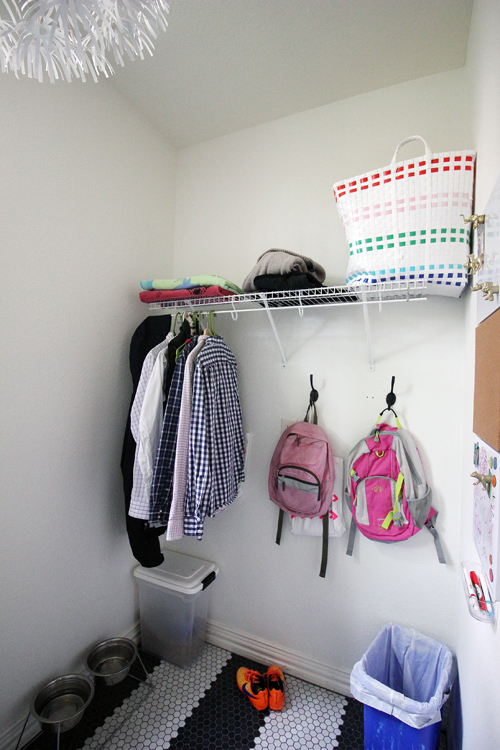 On the opposite side of the space, a nook is carved out and currently holds extra pool towels, backpacks and clothes hanging to dry. Cassie and I definitely agreed that the best use of this nook would be to have her contractor build custom cubbies to maximize the entire space. With these needs in mind, I recommended drawers at the bottom to conceal the everyday clutter of dog food, trash and shoes. The cubbies could remain open and door-less, since the nook is recessed and can't be seen from any other area of the home. 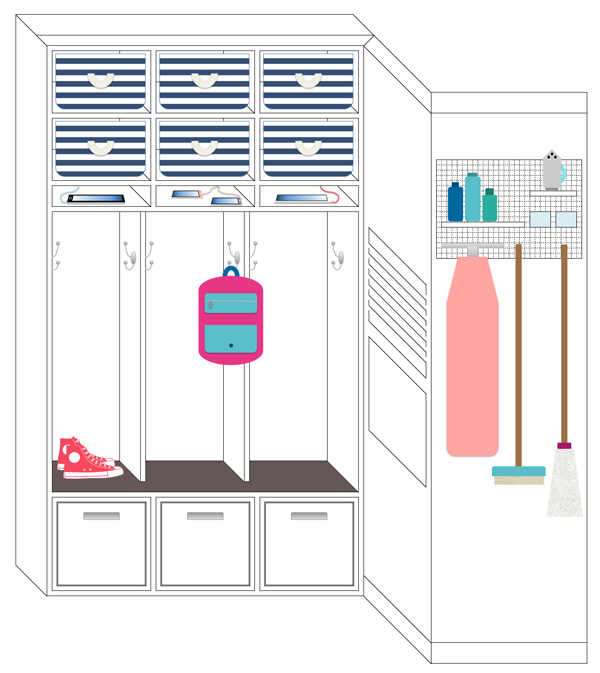 Summer and pool staples are utilized frequently, so I recommended easy access bins or baskets in the upper cubbies. Cassie's ceilings are nine feet tall, so she has a lot of available height, and can add two rows of upper cavities. She also has plenty of room to add a sliver of space for organizing and charging her family's technology. The drawers will be around 18-22" tall for the food and trashcan on each end, and the cubbies would be divided into three even sections at approximately 18-20" wide and almost 5' tall. Instead of a single hook in the center, I would add a hook to each wall, a single or double would really maximize the available hanging space. Cassie and I both lovity love stripes, and these rugby bins are a fun and smart solution for the open cavities above. They not only conceal their belongings, but are also light enough for all of the family members to easily grab down. Just to the right of the new cubbies, Cassie can re-install pieces of her Martha Stewart Wall Manager system to create a darling and effective family command center. 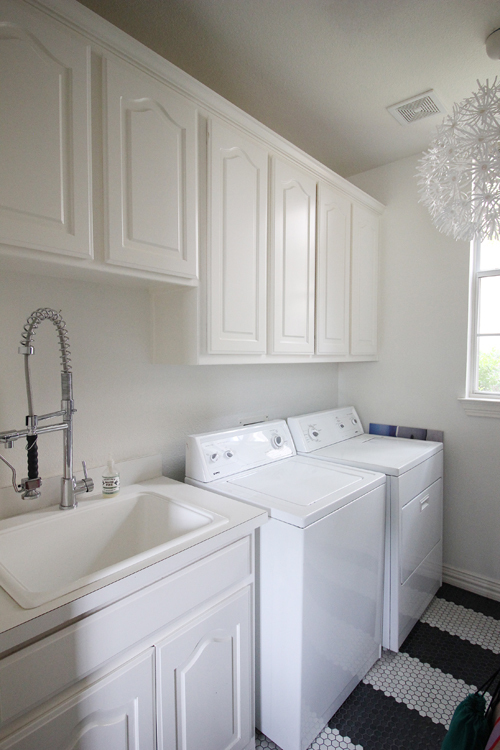 Behind the laundry room door, they have just enough room to install a few components of this Elfa wall laundry system. We love Elfa almost as much as we love tacos (#almost), and the pegboard-esque features allow her to mix and match small bins, shelves and hooks to create the perfect combination of ironing and cleaning supply storage. The opposite side is already in great shape as there are a plethora of tall cabinets for her to utilize and fill with all of her home maintenance supplies. Things such as lightbulbs, paper products, cleaning and wash items can all live inside of bins, and also remain nicely concealed behind closed doors. Because Cassie will be losing her hanging/drying area on the opposite side of the room, I looked for alternative solutions. 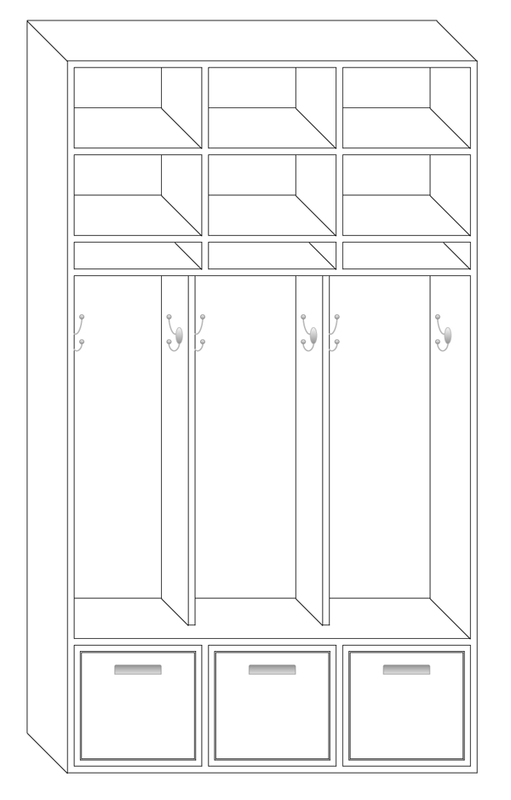 My first thought was to remove a set of cabinets and install a clothing bar, however, the taller cabinets are a single unit. We could remove the shorter set, although the clothes would be challenging to reach if hung all the way over the top of the sink and new faucet. And then I found this idea! Say what?! Completely a genius move; pull out drying racks. So cool that they can discreetly tuck away in-between uses. Cassie is going to consult her contractor to determine if her cabinets can be relocated all the way up to the ceiling, which would accommodate this type of smart setup. If it doesn't work out, we will throw a temper tantrum fit and then go to option B, which is this flip up/down drying rack from IKEA. It is perfectly sized to fit just below her window. With the height of the cabinets and cubbies, I was a little nervous for my fellow petite pal. I had to find her space for a collapsible step-stool, and lucky for me, there is just enough room remaining next to her lovely new dryer. Whew! 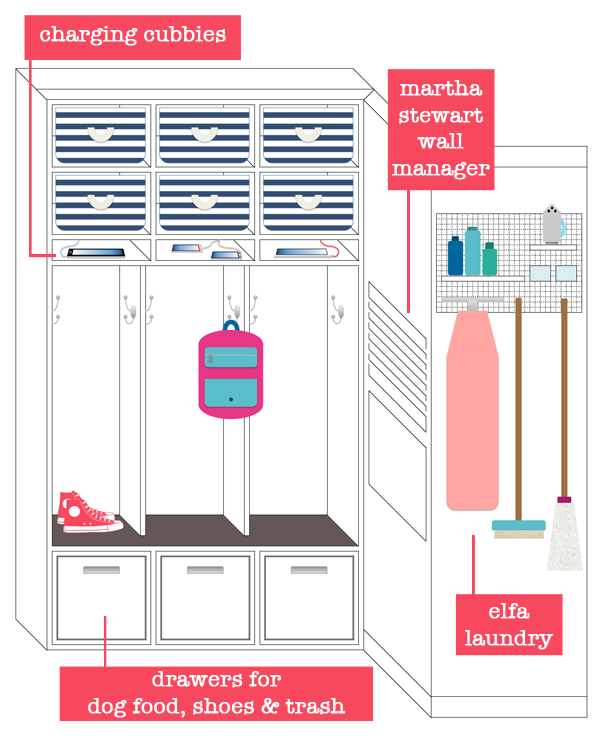 Install existing Martha Stewart Wall Manager near new cubbies to act as a place to leave notes, sign off on important school papers and organize family schedules. Add a folding step stool for reaching those upper cabinet shelves and cubbies. Ikea also offers an unfinished version, which can be painted in a fresh and playful color. Utilize lightweight, concealed bins to hold all of the day-to-day clutter that will be stored in the open shelving (avoid wire baskets as they generally add to visual clutter vs. reduce it). 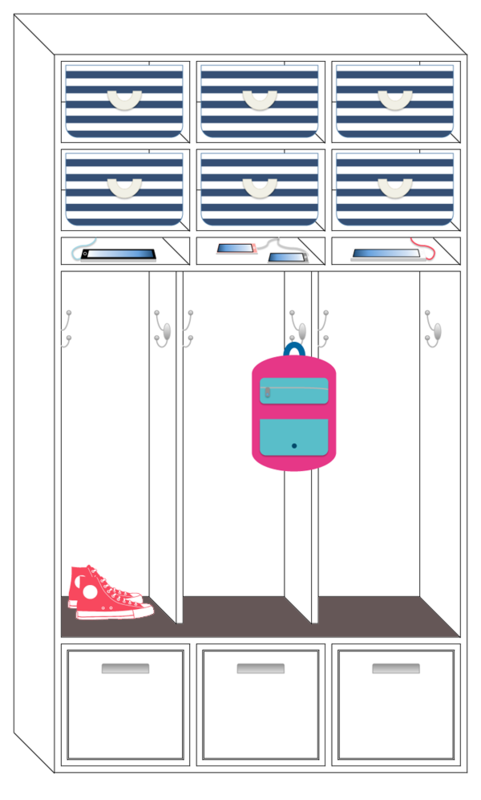 Add single or double hooks to each wall of the cubby. 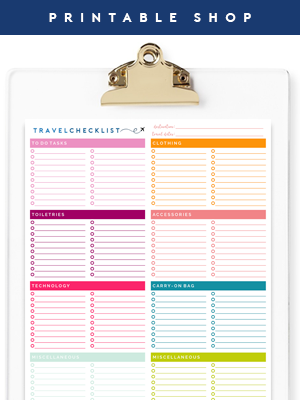 The addition of a label will keep everyone in check, and will also look quite charming. I love when function and form combine! DIY a pull out drying rack below the row of cabinets, or install this one from IKEA which is slim enough to fit below the window. Add small bins to the lower cubby drawers for pull out trash and dog food storage. Utilize the center drawer for family shoes that are currently in rotation. 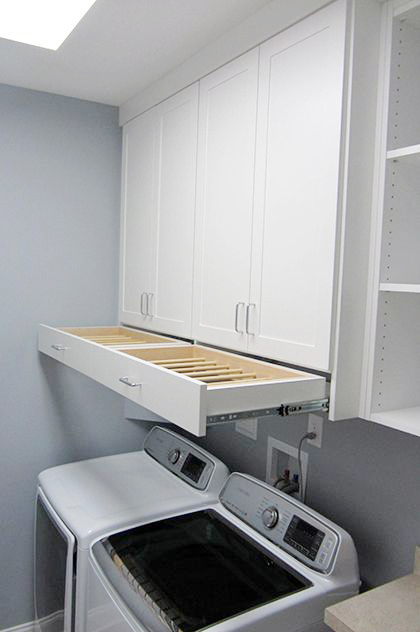 Add components of the Elfa laundry organizer to maximize the slender space behind the door, and to provide a place for an iron/ironing board as well as cleaning tools and supplies. I am sort of sad that this was the last project we looked at together; I feel the need to find another collaboration in the future before I start twitching. Cassie, what do you say? Once again, my renderings were all done in Excel, and a few of you seemed interested in that fact last time, so I am working on a tutorial post in the near future. 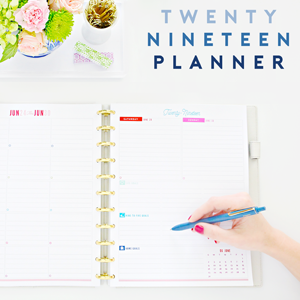 I don't know that it is the fastest way to space plan, but I find it super user friendly and it doesn't require me to learn fancy space planning and Adobe programs just yet. And now that I have worked on a few spaces for my very kind friends, I am ready and excited to help a few of you as well! Please submit your problem area photos and questions for a future edition of What Would Jen Do, to wwjendo.iheartorganizing@gmail.com. 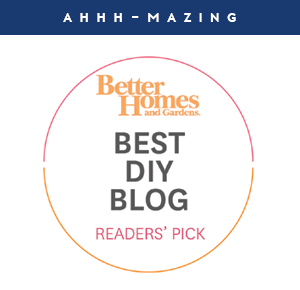 I will aim to select spaces that may be a common dilemma for a handful of my readers and that can be accomplished on moderate budget (think nooks, pantries, entryways/closets, playrooms, bathrooms, etc... I don't intend to virtually take on full rooms just yet). Of course I wish I could help every last one of you, however, I will only be able to select one space every month or two. I really encourage you to try to submit as you may have the perfect space to be addressed. Also, please note that you must be willing to share your photos and story right here to be considered. Labels: Laundry, Sources, Storage Solutions, What Would Jen Do? I love it! I have the Ikea fold down rack and it's great for drying flat items. Mine is near my laundry tub so it can drip there if need be. I also made myself a hanging rod for all the clothes I put on hangers, it's a five ft section of closet pole and hangs from chains from the ceiling. Love the plan! 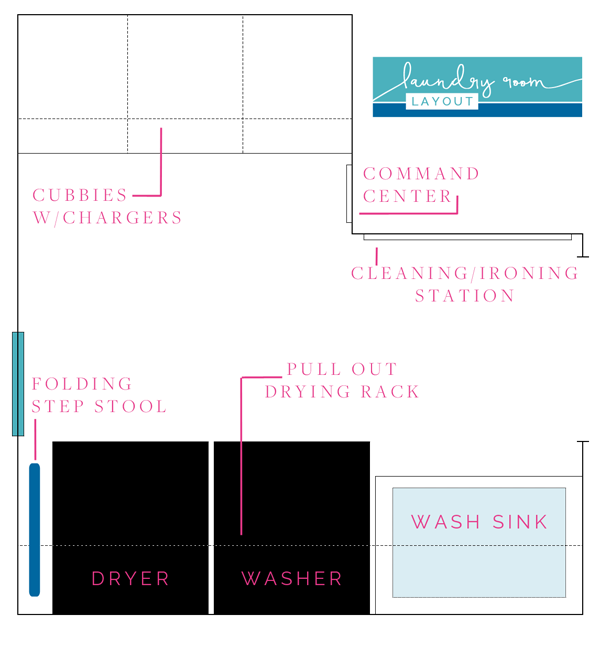 Have you seen the fold away drying rack at the container store? I have it and love it! 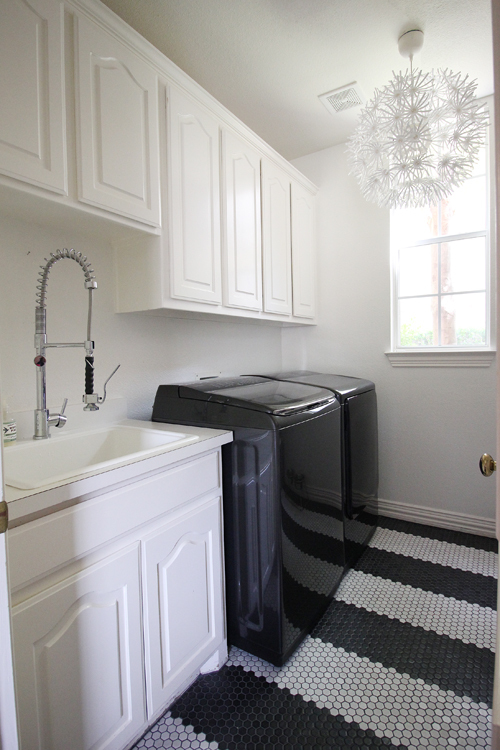 The best thing we added to our new laundry was a pull out laundry basket. It looks like an under-bench cupboard door but when you pull the handles it slides out. The sides are metal mesh for airflow and there is a divider in the middle making it easy to separate the wash right away. I hang mesh lingerie bags from hooks looped through the mesh and I put light and dark delicates straight into a bag when I put out the laundry. When it's time to wash I just zip the bag and toss it in the machine, no sorting required! Of course the big win is there is no sign of dirty clothes in my laundry, yay! Here in New Zealand it is usual to line dry our laundry outside and only use the dryer if the weather is too bad for that. If I have something that can't be hung to dry I have a freestanding clothes rack that collapses and stores in a cupboard when not in use. I can drape delicates on that across the racks and the don't drag or stretch. Love the plan you came up with here, storing dog food factored into our redesign too! I am seriously drooling over here! We have such a tiny laundry room. I have the Corday accordion drying rack from Ballard Designs (merry Christmas) and it is holding up well so far. I love it! The only thing I am not fun about is the charging station. I found that electronics are not sed so often that they need to be charged in a room that is often used (like the kitchen). Otherwise you end up going back and forth many times and ends up being a hassle. I used the rubbermaid file holder than Jen used for her kitchen cabinet but I placed it on a countertop, and so far it's working great. I can completely understand where you are coming from, it is important to keep them in a central location. The good thing about this space is it is located right off of their kitchen, so still close to the action but she will be able to keep counters clear. My guess is they will have secondary charging areas on their upper level as well, where the kiddos spend a lot of their time. 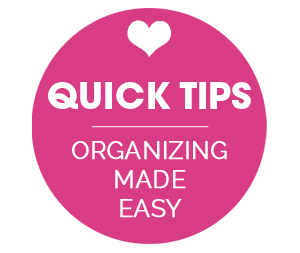 Love that the organizer is working for you also! It's been a sanity saver here for sure! What a great space...that tile!! And the your plan would take it to the next level :) Love it! Lucky me! 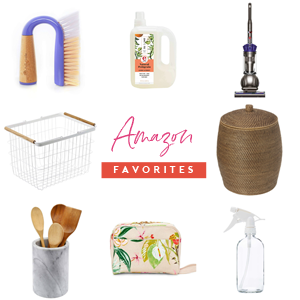 I'm getting ready to re-do my laundry room so this couldn't have come at a better time. Fabulous and functional! Love it! Fab room! Love the excel space planning diagrams too...very clear what's to be achieved!